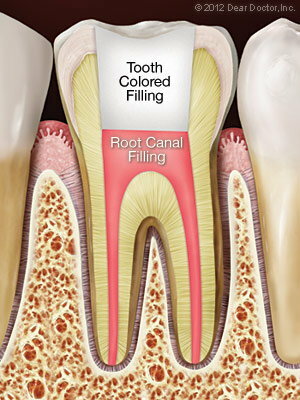 Endodontics is the specialized area in the dental field concerning nerves of the teeth. In some cases, the infected nerves in the root of your teeth need to be removed. If untreated, an infected nerve can become an abscess which can result in jaw bone loss. Anesthesia is administered, and this procedure is less scary now thanks to advances in dental technology and precision tools that will make the surgery less painful. The recovery time is usually short, and you will be able to enjoy all your favorite foods after your gums have healed. You can expect some slight pain and discomfort for a few days. If you are experiencing pain, contact your dentist today. call Suncoast Dental Center now at (239) 566-2255.